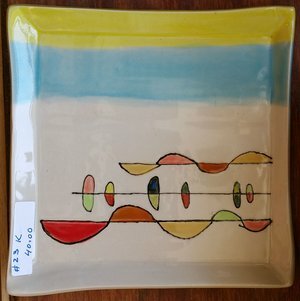 Camille S. Hoffman's Pottery available at the Artisans' Co-op. I throw and hand build with the finest porcelain, hybrid and stoneware clays that are available in the SF Bay Area. While I was living in Pacifica, CA, 1999-2011, I discovered clay in my backyard and "mined" it and made it into a fantastic slip .